Our Price £12.95 Another currency? A garden can be a place where people can relax their tired spirit and recharge their energy, while other gardens purely provide an escape from drudgery of the modern world. A tropical garden can do all of this and more. A well-developed tropical garden must surely be the closest place to heaven. A tropical garden might be defined simply as any garden in a tropical climate, but there is more than just one way of looking at a tropical garden. Any garden which seeks to imitate a mood or feeling which is perceived to be tropical might be described as a tropical garden, even if it is located in a sub-tropical or temperate climate. Most people tend to think of the tropics as being hot, with lush vegetation. Consequently, certain types of plants will bring a tropical flavour to a garden; for example, palms, orchids and plants with very large leaves. A tropical mood can be further enhanced by using garden furniture made from bamboo, rattan, or in a style reminiscent of a tropical country (e.g. Singapore, Mexico, Hawaii or the Caribbean). Other garden features such as large terracotta paving, water features or large umbrellas will further add to the tropical feeling. By introducing components and features which have generally been unique to tropical gardens, you can create a pseudo-tropical garden, even if it is not in the tropics. If your garden is in the tropics, your garden will have tropical features even if you try to create a style which is not normally considered tropical. 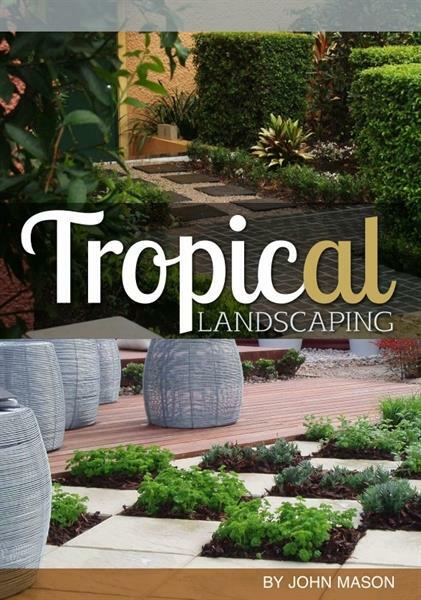 This ebook is firstly designed to help people develop a better garden in the tropics or sub tropics, but it is also a valuable guide to developing the impression of a tropical environment in other climates.